Trotz Not the Problem With Capitals, What Is? After yet another year where the Cup-favorite Washington Capitals experienced an early playoff exit, something has to give. The last time the Capitals saw major changes was in May 2014. After failing to make the playoffs, Washington cleaned out their front office, firing general manager George McPhee and head coach Adam Oates while replacing them with Brian MacLellan and Barry Trotz. With these changes, the Capitals hoped to change the culture and finally capture their first Stanley Cup. However, three years later, Washington is right back where it started. When considering what kind of changes are ahead, some believe it starts with the coaching. However, Trotz is in no danger, and shouldn’t be in any danger, when it comes to keeping his job. 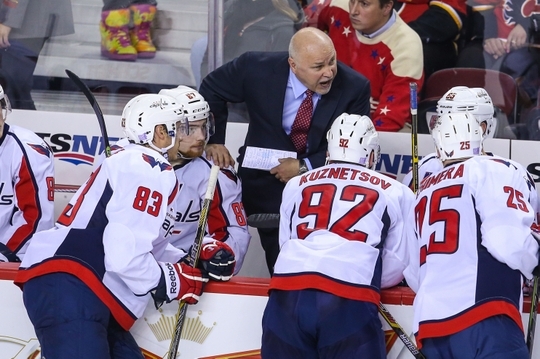 Prior to hiring Trotz, the Capitals went through a carousel of coaches. It all started as a chain reaction after the team fired Bruce Boudreau, Washington’s long-time coach who helped them conquer the Southeast Division in his time, but focused too much on a young-gun style of play to lead the team to success. Capitals alum Dale Hunter replaced Boudreau but despite putting an emphasis and focus on the defense, the team still saw a second-round exit in the playoffs. After Hunter resigned, Adam Oates took over, but couldn’t even bring the team to new heights, let alone the playoffs in his final year with the team. Then came Trotz, who took a new approach that the team hadn’t seen. Instead of focusing on a specific area of the team, he decided to completely change the culture. He had his players “buy in” to the team, and increased the players’ respect and care for the organization. With that and a combination of improving the team’s offensive ability, he made the Capitals one of the most dominant teams in the NHL. Not to mention, Trotz has been key in helping specific players hit their strides. Braden Holtby, whose confidence appeared shattered during the 2013-14 season, is now a Vezina-winning netminder and among the NHL’s elite. John Carlson is a top-pairing defenseman, has flourished in a way that he is able to move the puck well and play well at both ends of the rink. Even elite players, like Alex Ovechkin and Nicklas Backstrom, have reached new heights under Trotz’s tenure. Both have become better leaders and put up better totals while also rebounding after rough showings in the 2013-14 season. Overall, Trotz has been outstanding as the Capitals’ bench boss and has helped the team reach new heights and grow more than it ever has in its 43-year history. He has been a huge help to the team and is a coach that truly cares about his players and has no problem making tough decisions. Through discipline, reinforcement, and motivation, Trotz has no problem leading his team, and therefore, his job should be as good as safe. If Not Trotz, Then What Changes? There are only so many times the coaching can change in Washington, and in regards to their current fiasco of suffering playoff elimination year after year, it appears shifting the blame to the roster is the answer. Looking at the Capitals’ roster, it seems to have depth, but it does have weaknesses in many areas. For instance, prior to the Kevin Shattenkirk rental, Washington had just two right-hand blueliners in their d-corps. This will not work for them, and with Shattenkirk more likely than not to pursue other options in free agency, Washington must add more depth to its defense if it wants to improve. However, Capitals fans, as well as the front office, cannot ignore the elephant in the room. Over time, through all of the coaching changes, signings and front office cleanouts, the team’s core has stayed the same. Sure, Washington’s top six players are elite NHLers who deserve to hold onto their roster spots. However, something has to change, and considering the team has yet to win a Cup with these players, perhaps it’s time for a shakeup. 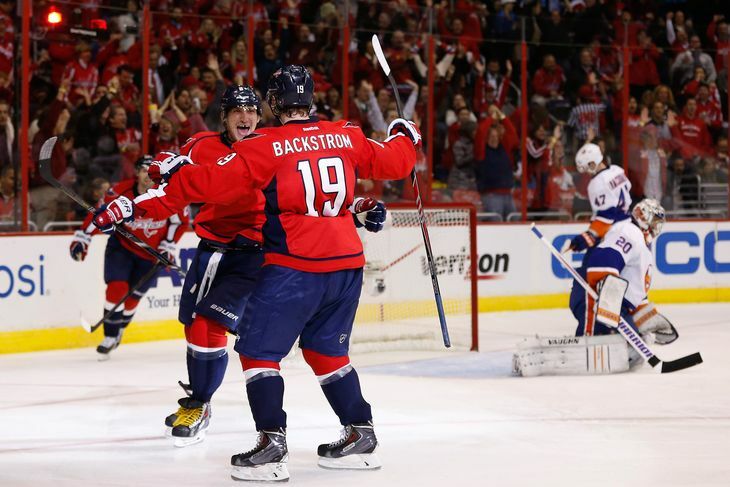 Do Major Changes Start With Ovechkin? When speaking of a shakeup, the big name that comes up is Alex Ovechkin. 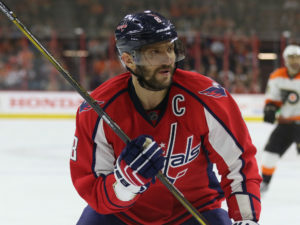 The 32-year-old winger has yet to lead the team past the second round in his seven-year tenure as the Capitals’ captain. In addition to that, despite a 50-goal campaign in 2015-16, his numbers have gone down, and he appears to lack the same gusto he once had. As time has gone by, Ovechkin’s explosiveness and overall speed have been on the decline. We don’t often see him enter the zone with fancy stick handling and a head full of steam. Instead, he spends a lot of his time in his “office,” firing one-timers from the left circle. About 38 percent of his points come on the power play, and at even strength, his scoring prowess is not as prominent. As difficult as it is to say, Ovechkin is not the “Great 8” the team used to have. When it comes to the team, the Capitals must decide if they want to keep Ovechkin or try something new. He is clearly a centerpiece of the franchise, but if the team wants to ignite change through the organization, a trade involving Ovechkin may be in order. Overall, something has to change for the Capitals. It shouldn’t start with the coaching, but instead, it may start with another key part of the franchise. And if that’s what it takes to put the team in Cup-contending position, then so be it.